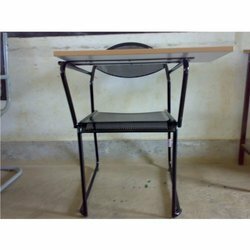 Prominent & Leading Supplier and Manufacturer from Bengaluru, we offer Training Room Chairs such as Writing Pad Chairs, Training Chair With Writing Pad, Student Training Chair, Black Training Chair, 3 Seater Training Chair, Training Chair and many more items. 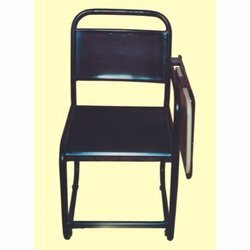 With an aim to fulfill varied requirements of our valued clients, we are engaged in offering Training Chair with Writing Pad. This chair finds the main application at both residential and commercial places while training and also provides the blend of comfort. 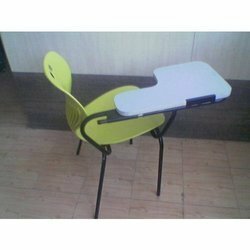 Catering on our enormous business expertise and wide knowledge of this domain, we have come up with a distinctive plethora of White Chair with Writing Pad. 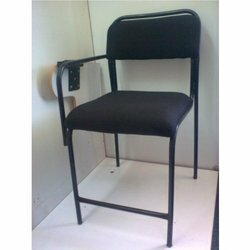 Using optimum grade basic material and sophisticated machinery, these offered chairs are designed and developed by us in different sizes and specifications. 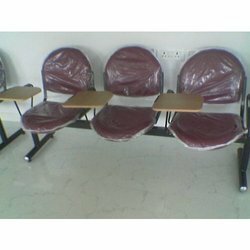 With immense experience and a competent team of professionals, we are able to offer superior Student Training Chair. These products are manufactured utilizing high grade raw material and innovative techniques in strict conformation with the international quality norms and standards. Along with this, the offered range is available in different customized specifications and forms as per the diverse requirements of clients. Leveraging on our massive industrial experience and know-how of this work area, we are occupied in bringing forth a huge plethora of 3 Seater Training Chair to our clients. Designed in compliance with the universally accepted norms and quality standards, these offered chairs are highly demanded. To retain our benevolence in the market, we are engrossed in offering to our clients a broad assortment of Training Chair to our clients. Manufactured making sue of best in class inputs and advanced tools and machinery, these offered products is highly demanded. 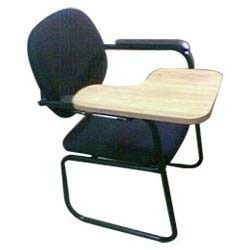 We are involved in offering our customers a wide range of Student Training Chair. Our training chairs are specially designed for use in seminars and classrooms. These Training Chairs are specifically designed keeping in mind the long hour training sessions, so that the individual can sit for long hours. 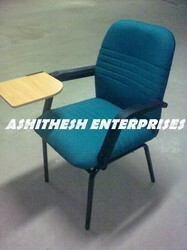 We are involved in offering our customers a wide range of Comfortable Training Chair. 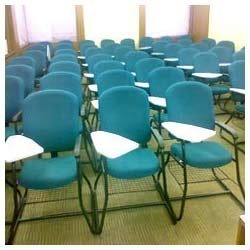 Our training chairs are specially designed for use in seminars and classrooms. These office furniture are specifically designed keeping in mind the long hour training sessions, so that the individual can sit for long hours. These training chairs are light in weight and can be easily moved about and be stacked away. Being a quality devoted firm, we are engaged in offering Steel Training Chair to our customers. The offered chairs are manufactured as per the prevailing market trends. 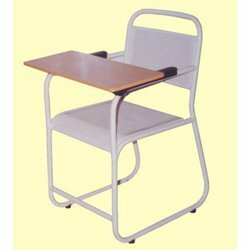 We offer a wide range of Writing Pad Chair with economical designed executive visitor chair that finds applications in various schools and others. With durable shine and perfect finish they are easy to assemble and are in high demand by our client’s spread across the globe.